I look at my March calendar and worry. March is BUSY. Report cards. My daughter's birthday. Professional events. 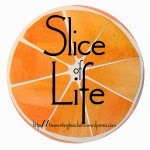 Will I be able to carve out time each day to blog? To inspire my students to blog? To keep up with all the commenting and additional work that goes into being part of both challenges? #SOL17 Does Moving Up Always Mean Moving Out? Mama if that's movin' up Then I'm movin' out" - Billy Joel, "Anthony's Song"
In the education world, I've noticed that most of the time, to advance professionally, you need to leave your role of being a teacher. To move up, you have to move out. You can become an instructional coach, a dean, an assistant principal, a principal, a director, an assistant superintendent, or superintendent. You can become an independent consultant or work with other consultants, visiting schools and working with teachers. You might become a professor and work with college students who wish to become teachers. There doesn't seem to be a way for a teacher who wants to stay in the classroom to advance professionally by way of different title, salary, or prestige. I am 37 years old, with my Masters plus 75 credits- a teacher for 15 years- and, I confess, I only just read Martin Luther King Jr.'s Letter from Birmingham Jailthis past Saturday.I'm annoyed that nowhere in my schooling was this letter shared with me or discussed. This past weekend, the Long Island Writing Project held a workshop on argument writing, based on this text. While we read the letter with a lens on argument writing and thinking about the specific techniques King used, it was hard not to get lost in the message of this letter, especially at this juncture in history.